The story began with Emirates placing an order of five passenger and two freighter versions of the doubledecker aircraft dubbed A3XX back in April 2000. 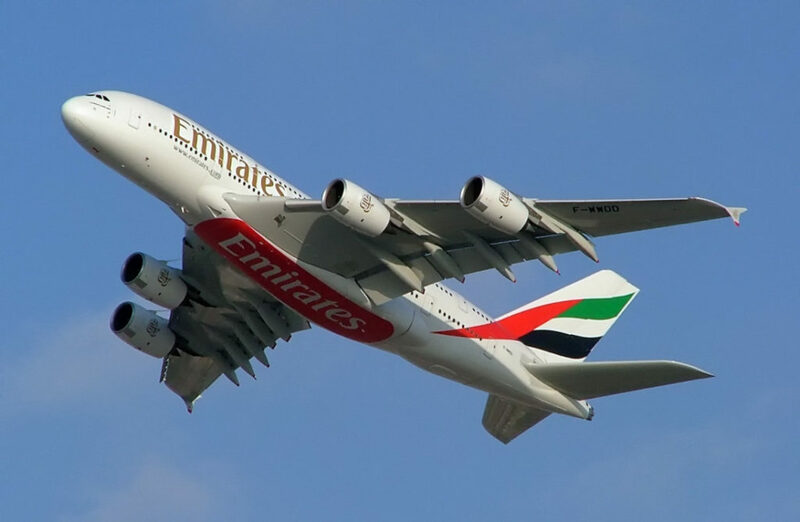 By the time the Dubai based airline received its first aircraft on July 28, 2008 (Registration: A6-EDA), Airbus had a firm order of 58 passenger version of A380s (the freighter order was converted into passenger back in by April 2006) to deliver. While it was the second operator behind Singapore Airlines (SQ) to deploy this aircraft, it was the first fly between Dubai International Airport (DXB) to New York’s JFK International Airport (JFK) on August 1, 2008. At the time, the aircraft was configured with three classes of service (first, business and economy) with 489 total seats. This was 18 more than offered than Singapore Airlines at launch with all the additional seats dedicated to premium class. In an airline industry first, Emirates equipped two shower suites for first class passengers. These configurations comprise of 56 of the 95 aircraft fleet (~59%). The second configuration was introduced on its sixth delivery in December 2009 with the goal to improve yields further and to operate on routes with capacity constraints such as London’s Heathrow Airport (LHR). The third configuration was put into service from Dubai (DXB) to Copenhagen Airport (CPH) on December 1, 2015 (Related News – Emirates Brings High Capacity Airbus A380 To Copenhagen). The objective is to use this high density A380 to improve capacity for destinations that do not have a high premium (first and business) passenger demand or have more than one A380 frequency (Related News – Ten Markets Ripped For Emirates High Capacity A380 Service). This configuration also wins the award for the most seats on one aircraft operated by a commercial airline. The other configurations all featured the same first and business seat capacity but different economy class seats. The difference are all in the lower level placement and does not significant impact passenger comfort. With its rival Qatar Airways (QR) introducing a new first/business class hybrid product named Qsuite (Related News – Qatar Airways Debuts New Qsuite Business Class on June 24), Emirates is pressed to innovate the now almost 9 years old premium seats on board its Airbus A380-800s. There is report stating that a new first class product will be introduced at year’s end. It would not be a big surprise if a new business class product will also be showcased in tandem so that the cabins can be retrofitted at the same time. The new designs may require additional spacing which could reduce overall capacity closer to another rival, Etihad Airways (EY). Emirates and Qatar Airways have the same number of total seats in their A380-800s with the former holding the edge in count in the premium cabins. Etihad Airways has the least amount of seats overall and is the only one with a three-room Residence seat with its own washroom and bedroom. It introduced the Airbus A380-800 service back in 2014 and will likely not have a design update announced anytime soon. While Qatar Airways showcased the innovative Qsuite for its Airbus A350-900 fleet (which does not have a first class cabin), the airline mentioned its 10 A380-800s (2 left to be delivered) will feature a different design due to wider fuselage dimensions. Look for this news sometime in 2018.